If you own a home in Romeo with a well, you should have your well inspected and water tested at least once a year by a water well maintenance company. Too often, well owners put off maintenance because they want to avoid the extra costs and their well appears to be working just fine. However, when it comes to water well maintenance, prevention is key. Without the proper maintenance, a small problem may go unnoticed until it has developed into a more noticeable and costly problem. Keep reading to learn about 3 problems that can easily be avoided by hiring a Romeo water well maintenance company. A well that is not properly maintained can eventually cause water to produce a sulphur-like odor. 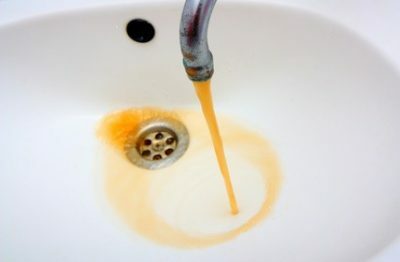 To combat this problem, many times well owners will just start having purified water delivered because they don’t like the taste or smell of their well water. Rather than spending money on a water delivery service, the money would be better invested in a well filtration system and hiring a water well maintenance company to inspect the well filters once a year. Even worse, the odor can appear even when the water is not being used. So not only does smelly well water make bathing, drinking and cooking unpleasant, but it can eventually leave your entire home with a sulphur or sewage smell. Hard water basically means your well water contains an extremely high mineral count. A high mineral count may sound like healthier drinking water but there is still a debate over whether or not a high level of minerals is healthy for your body. One problem with hard water that needs no debate is its effect on plumbing fixtures, appliances and even laundry. Rust Colored Stains – Stains will appear in places where water is being used, such as bathtubs, sinks and other plumbing fixtures. Lighter colored clothing may also become stained from the washing machine. Soap Build Up – Hard water will react differently to soap, making it difficult to rinse off. This often results in a soapy residue left on laundry, dishes and even individuals after showering. Problems with Appliances – Excessive mineral buildup can actually clog up the valves on your appliances. This causes higher energy bills because the appliances are not running in an efficient manor. In addition to minerals being present in your water, wells that are not maintained may eventually become breeding grounds for bacteria and other contaminants that are harmful to your health. A water well maintenance company can test your water to make sure it is safe to use. They will also inspect water filters and all other components of the well to ensure they are clean and working properly. If you have noticed any of these problems mentioned above, it is important to contact a well drilling professional as soon as possible. 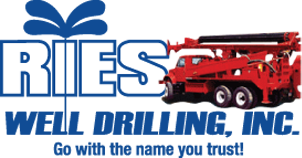 If you are looking for a water well maintenance company that services Romeo and the surrounding areas, contact Reis Well Drilling today at 586-784-9516.